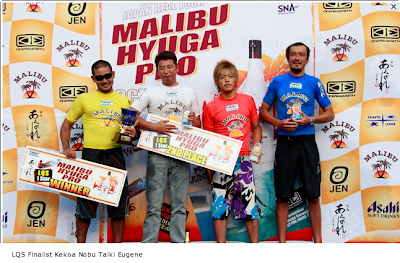 The Malibu presents The Hyuga Pro is over! I watched the event religiously for a good 3 days straight, or at least it felt that way. None the less I was happy to keep up to date on what's happening in Japan and the last WQS event of the 2009 season. 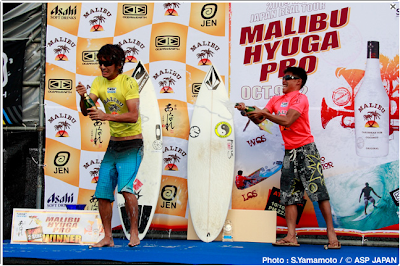 A huge CONGRATS to Kekoa "Kimbo" Uemura who won the LQS! Kekoa is having an incredible year, actually every year has been career for this guy. 4 wins and a 2nd place is amazing! 2 of those 4 wins have been LQS events and the other 2 have been JPSA events. 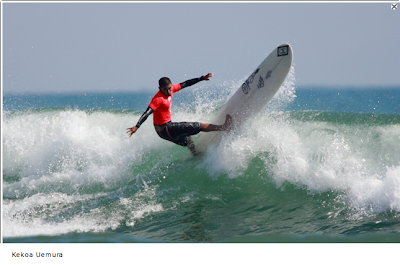 Nonetheless Kekoa finished his 2009 Japan season very well, and look for him to be doing the same on the short board side of things on the 2010 JPSA tour! Aurite! Dustin killed it in the Hyuga Pro! Dustin flew over to Japan for the 4* WQS event in Chiba to get ready for the upcoming leg of 6* Prime events in Canada and Santa Cruz. D.C. got a chance to sink his teeth into a few in Chiba but was quite satisfied and wanted the taste of more blood, and decided to fly back to Hyuga. Dustin wanted to be sure that was ready for the leg and a 2nd place is as close as he wanted to finish up. Check out his stats from the event below. 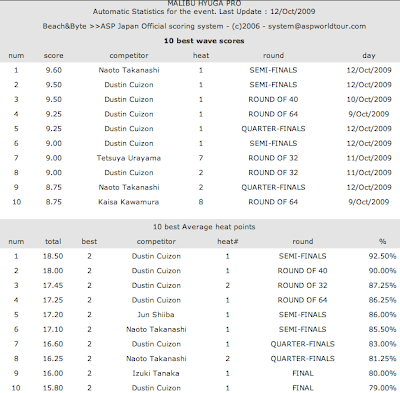 Dustin started from the round of 64, then 40, 32, Quarters, Semis the Finals. Dustin heat scores from every round were in the Top 10 of the whole event. Incredible!!! This is Team Hawaii in Japan! Congrats to Da Braddah's Minsyuku for taking out the Team Challenge! 3 years in the making and they did it! Chee hee! 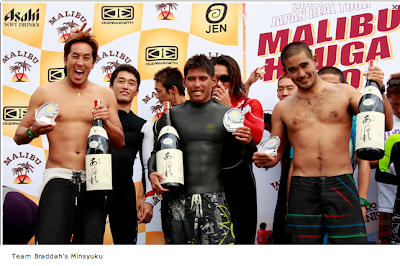 Check out their huge bottles of Sake that they won! Banzai!!! Big Aloha to Nickhead for doing a great job commentating the entire event. Nick was joined by the likes of Joezy and Asaka san! 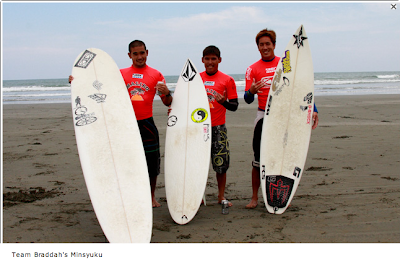 Great job to ASP Japan for running another great event! A bigger Mahalo to Yamamoto san for taking such great photos!!! No. You da man Nicky boy!